Kata has several meanings, for example: Shoulder (nami kata – wave + shoulder), Peace (kata yama – peace+mountain), Direction (mina kata – south + direction) etc. It is used in the Traditional Arts such as kabuki (theatre) and chadō (tea ceremony), as well as in the Japanese Martial Arts. This Kanji (型形) for Kata translates as “Form”, meaning a series of movements practised by the student. It is, in most traditional systems the “core” of a Ryu (school). As we know Kata, meaning Form, or a series of movements, looks to the outsider as a “dance”, and history has recorded these “dance-like” forms in various cultures. In fact there are references dating back to the Egyptians and Greeks, performing dances that emulates fighting. Another instance of this is found in the 7th Century BC of a dance known as the “shield dance” which was performed by soldiers. These formal fighting dances were also seen in Okinawa, exactly when they came about is not recorded, but history gives us an insight to as to their origin. Okinawa had a very good relationship with China and its trade blossomed. This happened back in 1377, when the King of Okinawa formed an allegiance with the Chinese Emporia. The migration between the Okinawans and the Chinese caused a cultural exchange between these two countries. This included the teachings of the fighting systems of the Chinese. Thus “China Hand” had a large influence in the development of Okinawa Tōde (唐手, China Hand or T’ang Hand), the Okinawan fighting system. The towns of Shuri and Naha became well known trading centres, thus providing the source for Tōde. From this the art gave rise to Shuri-te and Naha-te. Then in 1477 the King of Okinawa imposed a ban on the use and ownership of weapons. They were confiscated and the Okinawan Nobles were ordered to live near Shuri. This action only enhanced the training in Tōde. Another big influence was in the 1600’s when the Japanese ordered the Satsuma clan to invade Okinawa. This they did and imposed various demands upon the Okinawans, one of which again was to prohibit the use of weapons and eradicate the practise of their fighting arts. This resulted in the Okinawans training in secret, behind closed doors, and only with family a few trusted students. During this time their empty hand developed and they practiced in the use of fighting with tools (development of Kobudo). Thus their Kata and its application (bunkai) became secretive. Deadly techniques were hidden in the Kata movements which were only understood by a select few. The practise of Tōde was now “underground” hidden from the Japanese oppressors of that time. They practised in small groups, or one-on-one with their master, and this was how the Ryu (school) was passed down. There were no written records or books on Kata making it difficult therefore to trace the origin. Around mid-1700 three key individuals emerged. These were Shinjo Choken, Kanga Sakugawa and Chatan Yara. 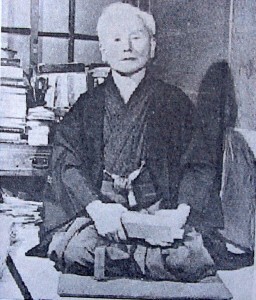 In fact Choken was one of the first practitioners of Shuri-Te. Both Sakugawa and Yara travelled to China, Fukien Province, to study the Chinese martial arts. Both men had studied under a Chinese envoy named Kwang Shang Fu, better known as Kushanku. Kushanku himself had studied the martial art of Ch’uan Fa from a Shaolin monk. Eventually Sakugawa would create a Kata and call it Kushanku in honour of his master Kwang Shang Fu. It was these individuals that gave rise to the birth of Karate as we know it today, through their teachings and their students. Many of the Kata were formalised by Sakugawa and his student Sōkon (Bushi) Matsurmaura. There is a dramatic change which occurred in 1867 when the Togugawa Shogunate came to its official end in 1867. Over a period of time Okinawan martial artists came to practice more openly. Then at the turn of the 20th Century, in 1901, a martial artist by the name of Anko Itosu was instrumental in getting the empty hand fighting art into Okinawan schools making the art available to children. It is during this time we see a change in how Kata was taught. Much of the deadly applications were made safe. In fact Itosu was responsible for the creation of the Pinan Kata, taken from the two older advanced Kata of Kushanku and Chiang Nan. This later Kata was taught to Itosu by a Chinese martial artist. The original form of this Kata is now lost. So what Itosu did was to modify the Kata that was taught to him by his master Matsumura. Although these modifications made the Kata easy to remember and “safe” for children to study, it had a drastic impact by starting to make the fighting art better known. One of Itosu’s students was the well known master Gichen Funakoshi, the founder of Shotokan. In the early 1900’s Funakoshi enhanced the popularity of Karate by demonstrating his art in front of the Emperor of Japan. 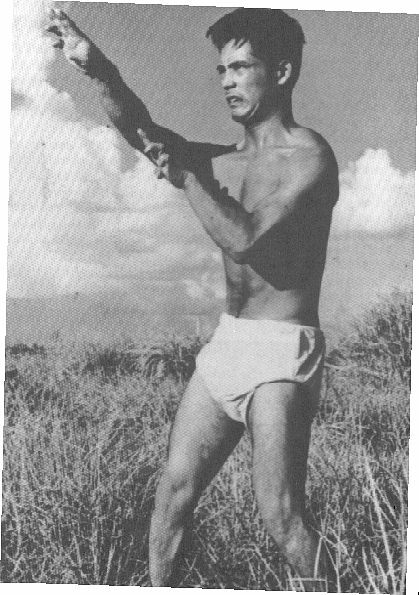 He spent the rest of his life in Japan teaching his system until his death in 1957. Because of the poor relationship Japan had with China, he was instrumental in changing the kanji for Karate from China Hand (唐手) to Empty Hand (空手), thus removing the reference to China. During this time period the belt structure for karate came into place, and once again Kata evolved. However, this time it was for competitions and grading, resulting in students being more concerned with the “look” of Kata more than with the Bunkai (application). This is probably why today many schools don’t practice or fully understand Kata and Bunkai. However, although these changes by the likes of Itosu and Funakoshi took place they made Karate more accessible; eventually to the rest of the world. This came about after World War II when the US military began to learn this unique fighting system. They eventually took it back to the USA. So Funakoshi was the implement of today’s modern Karate, and he is known as the “father of modern karate”. Before the early 20th Century there were no written records of Kata. All of what we know today started with this knowledge being transferred from master to student. It was the Kata that was the “book” in which the student had to study and apply. Because of this and the history a lot of this knowledge has been lost. However, today we can see a diversity of books and DVD’s on the subject. But it is still our responsibility to make sure that the essence of Kata lives on in its understanding through Bunkai practice. This then will prepare us to become a much better and a true practitioner of Budo. I see that Kata is the “core” of our Karate system in that it contains all the essential elements of fighting, such as strikes, kicks, blocks, locks, strangles, throws etc. However, you need to have an understanding and the “key” to unlock the hidden techniques. If this understanding is not there then the student may just look upon it as the “dance”, a random series of movements of no real relevance. In fact this understanding is what makes a difference between a novice and an advance student of Karate. Sensei Gogen Yamaguchi said: “There is no end to the practice of Kata”, and “It is no the number of Kata you know, but the substance of the Kata you have acquired.” To me these two sentences says it all, on how important Kata is to the practice of Karate. So without Bunkai the Kata is not entirely useful, and without Kata, Karate (or in fact Kobudo) is not complete! I have already in the history pointed out where the Pinan (meaning Peaceful and Calm) series of Kata, and Kushanku came from. Below I have given some of Anshin Ryu (our systems kata) advance Kata. This mean translates into “vision of a crane” or “vision of a heron”. It was originally called Matsumora Rōhai and is thought to have been created by Kōsaku Matsumora. It was later redeveloped by Itosu into three Kata forms, the Shodan, Nidan and Sandan Forms. Again Funakoshi redeveloped Rōhai into what we know as Meikyo, translates to “bright mirror”, or “mirror of the soul”. It translates to “internal divided conflict”; there are three modern Kata that have come from this, in which we only learn one of these. There are conflicts to how this has come about; some believe that Itosu created two of them, i.e. Nidan and Sandan, whilst others believe that the one Kata was broken down into three separate forms. The origin of this Kata comes from the Tomari-te system, translates to “10 Hands”. This is supposedly been named after a Chinese sailor by the name of Annan who was shipwrecked on Okinawa. Sōkon Matsumura was sent by the Okinawan king to defeat Chintō but he found him a great adversary and eventually sought to learn his techniques. Chintō translates to “fighting to the east” and was created by Matsumura. This is thought to be one of the oldest Kata, and translates to “13” or “13 Hands”. It is believed that it has been derived from Yong Chun White Crane Boxing by a Chinese martial artists living near Shuri around 1700. However, there is no hard evidence to support this theory. For the rest I will leave the reader to do a bit of research for themselves.